The Motorola Droid XYBoard 10.1 is a little bit better than the iPad mini, having a 7.02 score against 6.93. Motorola Droid XYBoard 10.1 counts with Android 3.2 operating system, while iPad mini comes with iOS 8.x operating system. 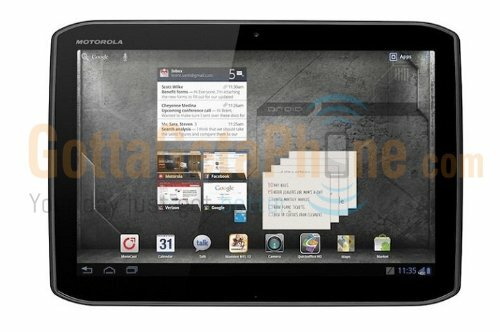 Motorola Droid XYBoard 10.1 is a heavier and somewhat thicker tablet than iPad mini. Apple iPad mini and Motorola Droid XYBoard 10.1 both count with extremely similar displays, because although the Motorola Droid XYBoard 10.1 has a little worse pixels density, it also counts with a larger display and a quite better resolution of 800 x 1280 pixels. Motorola Droid XYBoard 10.1 features a much better memory capacity to store more apps and games than Apple iPad mini, because it has 64 GB internal memory capacity. The Motorola Droid XYBoard 10.1 has a bit better processor than iPad mini, and although they both have 2 processing cores, the Motorola Droid XYBoard 10.1 also has a much better graphics processor running at 608 MHz and more RAM memory. Apple iPad mini takes just a bit better pictures and videos than Motorola Droid XYBoard 10.1, and although they both have a same resolution camera in the back, the Apple iPad mini also has a way higher (Full HD) video resolution and a bigger aperture to take better low light captures and videos. Motorola Droid XYBoard 10.1 features improved battery lifetime than iPad mini, because it has a 58% greater battery capacity. Motorola Droid XYBoard 10.1 is not only the best devices of the ones we are comparing here, but it's also a bargain compared to the other devices, making it very easy to pick between these devices.